Learning a new language can be compared to having a new Friend who you are not aware of whom he or she is, whereby it takes one to know him or her step by step until you understand him better in and out by knowing his name, their likes and dislikes their hobbies and other common factors. In consideration to this one need to consider a new language in the same case and will get to know it at the end. One whom is interesting any language should be in the position of allowing conjugation through the memorization of that unique language that he or she is interested in doing or understanding. The concept behind one been able to understand and memorize that language enables hi, or her to be in the position of communicating excellently without any difficulties as well as listening when communication and turn-taking are taking place. Conjugation more so enables one to understand some of the patterns that that language is following making the learner be effective in terms of communication and speaking purposes. Another fact that one’s needs to understand is the meaning of the conjugation one is using in terms of tenses, aspects and even moods. This meaning enables one to understand to respond to the communication in case two people are having a conversation and also to answer the question in case it’s for academic purposes. best way to learn Portuguese verbs and language request one to be well advanced with the different levels of conjugation of the verbs. This will make one become more fluently in speaking this language as times goes by.to achieve this one needs to collaborate different suffix that conjugate with the verbs such as ‘-ar’,’ ‘-er’, ‘-or’ and many others this is the first lever of conjugation of verbs. The second lever of conjugation is the irregular verbs that differ in the first person singular some of this conjugation verbs are ‘ser’ that request one to not only memorizing it but to put it in practice for it to stick in mind. It’s also important to learn the second person singular and plural that is ‘to’ and ‘vos’ that enables one to read old stuff. The ‘voce’ and ‘voces’ and others are widely applied by the third person and to indicate singular and plural respectively. 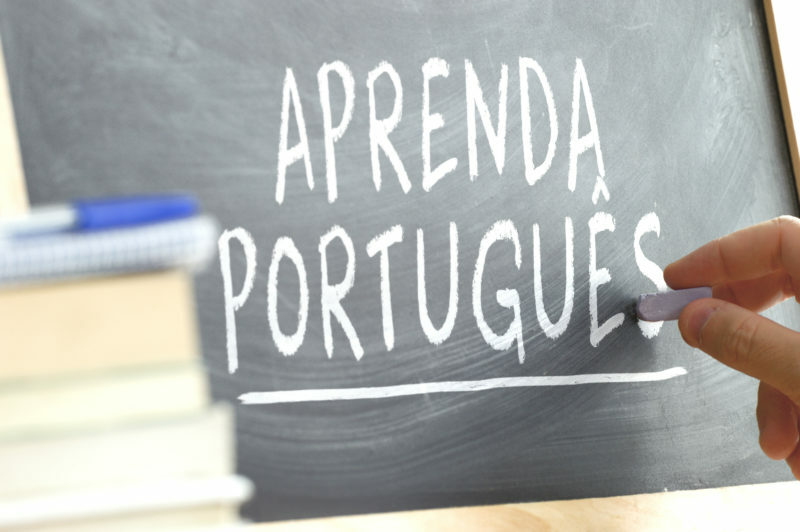 The best way to learn Portuguese verbs is by understanding the basic and commonly verbs that are widely used within Europe and this are some of this verbs are ‘pretérito perfeito’, ‘vou andar’, ‘irei sair’, ‘andarei’ and many others indicating different time of events as ‘prete`rito perfeito’ is used to indicate present and ‘vou andar’ is used to indicate future as well present. Another way for one to be a best learner of Portuguese language one need to have an interest in the language whereby one is required to study the words and write them afresh if it’s their first time to encounter them, secondly they need to start familiarizing themselves with the language by either listening it and studying it and make it to be their routine where one can decide to check the actual meaning of that word in the dictionary whereby afterwards in case the same word he encounters it in another different article or another area he will be aware that the name means this.it can be a challenge for one understanding this terms but the most important issue is that the word is now becoming familiar to you as you can remember that you have been encountered it another time. And thirdly they need to keep on reviewing it to see if they are getting it. Some of the Portuguese verbs may very difficult for one to remember either as what they try to describe may be difficult to understand or how the dictionary have defined or explained it may be also difficult to understand thereby the use of ANKI makes one keep track how often you have visited that word enabling you to avoid wastage of time thereby making you get the application of that word in that content despite you don’t get the exact meaning of the word or verb. Such verbs that are difficult to get the exact meaning are called abstract verbs and requires one to understand only the use of the verb in the passage or context as it’s easier to remember the meaning of the verb more contextually in comparison to the actual meaning. Another way to learn the Portuguese verbs is by use of collocates that enables one to see the synonyms of that word used as it enables one to see the kind of objects is being described by that verb as it can be commonly used. Use of linguee.com that enables the translation of different verbs can widely be of help during the study of a different language whereby a difficult or challenging word can be checked upon to know its translation. This can be also be achieved via the use of phrasal verbs and translation platforms that can translate the words in need of as it provides different propositions that enable one to generate phrasal verbs. Learning Portuguese verbs and language can also be achieved via the use of electronic gadgets and use as social media devices such as the Language learning foundations, Forvo Portuguese, audio and video learning and other platforms thereby exposing and giving out the best ways to handle the verbs thereby becoming a guru of Portuguese verbs. Through the use of this one is well conversant with the nouns, verbs, pronunciation etc. concerning the language. In conclusion, one needs to take some consideration such of writing down new vocabularies of any language and research the meaning of that word and get the meaning and other words that have the same synonyms.